A wedding lead comes in by email. Yippee! You eagerly click the email open and, surprise, surprise! What does it say? “I’m emailing about your pricing and packages.” In other words, How much? Barely a hello and they already want to talk dollars and cents. You email back, answering all their questions with care and concern, and then…NOTHING. It’s like your email disappeared into a black hole. 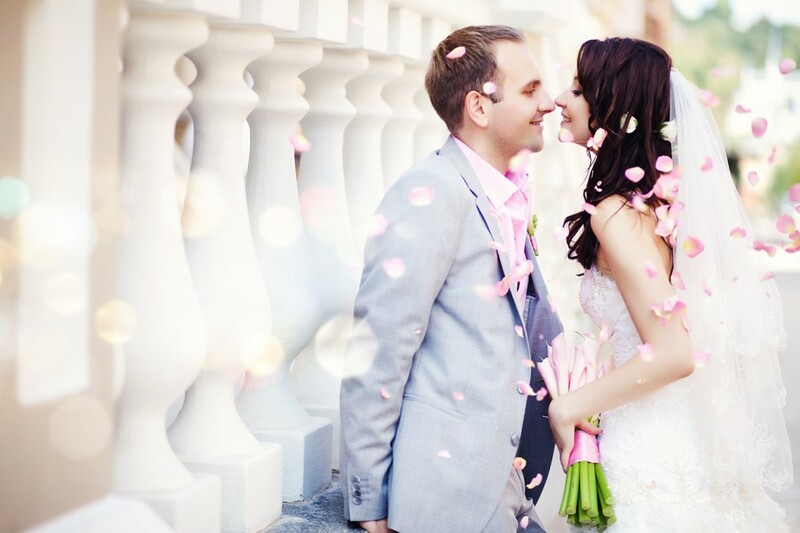 We both know how important your wedding photography is to the bride and groom’s wedding day. In fact, when asked about their biggest regrets after the wedding, 75% of the brides I surveyed had regrets about photography. Either they regretted NOT hiring a professional photographer, or skipping the album, or they wished they’d taken more family portraits. Once the wedding is over, all that’s left are their rapidly fading memories and…if they have them…those gorgeous photos proving how young, beautiful and in love they were. Of course, we know that, but how do you explain that to a bride when all she seems to care about is price, and she won’t even return your emails? We learned this strategy from our friend, Barry Friedman of Get More Corporate Gigs, who routinely books his juggling performances (yes, juggling! As in ping pong balls, flaming swords and chain saws) for $15,000 to $30,000. He had to learn how to stand out in the highly competitive corporate entertainment space, and this technique works equally well for wedding vendors. Instead of replying to a lead with a boring old email, you send a video response. Show off some of your most beautiful photos, preferably of their wedding location, with a personalized voice over introducing yourself and inviting the bride to chat with you on the phone. When the bride gets a dozen plain text email responses containing nothing more than a pricing sheet, and then she watches your personalized video response, she is going to call you. You’ve just blown your competition out of the water. An email lead comes in. In the next 15 minutes, you personalize your already 90% done template slideshow presentation of photos with the bride’s name, the wedding date and location. You record your screen capture video with a cool, free tool like Animoto or Jing. Pop the video url into an email, and voila! You’ve got a knock-your-socks-off bride booking response. In weddings, it’s all about the emotion. Brides and grooms aren’t buying your photographic talent, your professionalism or even your pretty photos; they’re buying the feeling of being beautiful, special and in love…and the knowledge that they’ll be able to prove it to their grandkids. But it’s nearly impossible to convey all that emotion in a plain email, especially when it’s all about PRICE. A personalized video response makes you stand out from the competition immediately. Your photos of couples on their wedding day are absolutely saturated with emotion, and they explain your value far better than your best sales pitch. By using a video response, you take control of the conversation, turn it away from price and make it all about delivering what the bride really wants. Sure, it takes a little time to set this up, but once you have a template you can whip up a personalized video response in minutes. Do this and it will transform the response you get from brides and grooms. Then be sure to share your success stories with me! How are you using video to market your photography business? 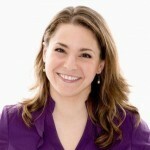 Wedding superheros Stephanie Padovani and her husband, Jeff, share oodles of wedding marketing tips like these at BookMoreBrides.com. Sign up for their FREE 7 day online training event for wedding vendors to learn how to get more leads and book more weddings. can we see your “knock their socks off” video? Thank you so much for this post ! This is brilliant . I have been getting so many “black hole” emails . And thought of a video of some sort but didn’t know where to go with it . Excited to share results ! I actually know quite a few wedding photographers who send out video responses when they get initial inquiries and they totally swear by it. I’m looking into introducing it as part of my response, but not until after the holidays when I have a little more time to put something together! I love the comment about how 75% of brides regret the photography. I hired the wrong photographer because my mom pushed me to save money there so she could spend it on an overly extravagant (and quite wasteful) reception to impress her friends. It’s my one regret because years and years later I could care less what the cake looked like or the centerpieces, etc, etc, all I care about are the photos that I have and it’s also what inspired me to become a photographer(although I am not a wedding photographer) and it’s a bit disheartening that even though I don’t specialize in weddings I could have taken better wedding photos than what I have. I wish the more expensive photographer I had looked into had just given me that tiniest extra bit of attention and he would have had me hooked. How would I put together a slideshow/voice thing like you guys did (steph at book more brides) …. I’d love to figure out how to put something easy together like that! Any tips? Hi, Stephanie! The easiest way to do it is with Power Point slides of your photos, then just plug a mic into your computer and record your screen with Jing (free video screen capture program)as you scroll through the slides. If you hop on our email list over at our website, we’ll send you more info about how to get the training on this soon. Wow, I am soooo going to do this! Thank you so much for this information guys! I have started melding video into my business by offering “Fusion Photography”. But I absolutely love the idea of extending the video feature into my response email back to brides! What a simple way to personalize things and remind brides they’re hiring a person – not a price quote. I am definitely going to try this! Thank you so much for the tip!